Enjoy blazing fast internet. 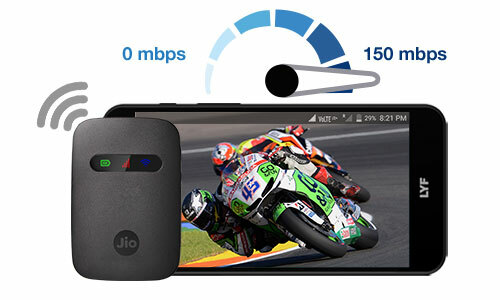 Download speed up to 150 Mbps and upload speed up to 50 Mbps. 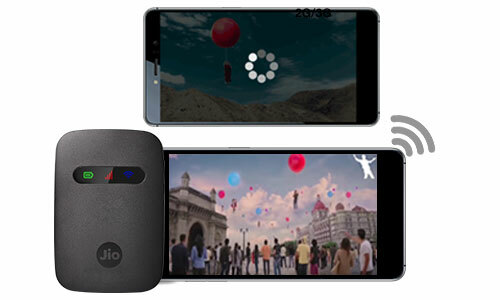 With Jio 4G SIM in your JioFi, access high speed 4G data and download Jio4GVoice app on your 2G/3G smartphones to make HD voice calls. 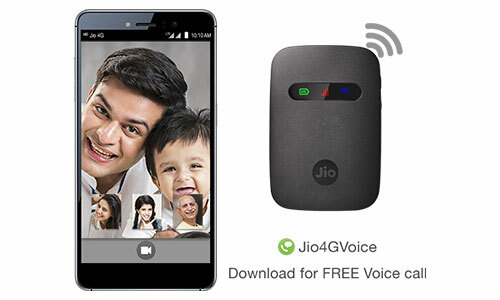 Make Video and HD Voice calls, send SMS and set up even (5+1) Audio & (3+1) Video conference calls with the Jio4GVoice app. Recommended to connect up to 10 Wi-Fi enabled devices (Smartphone, Laptops, Tablets and even Smart TVs). 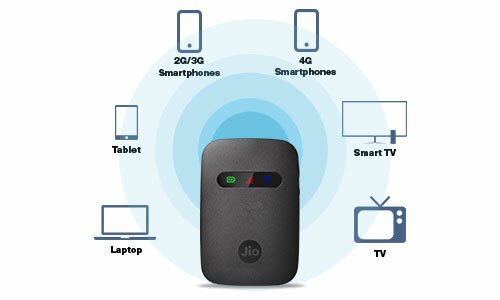 JioFi allows to connect up to 32 devices. 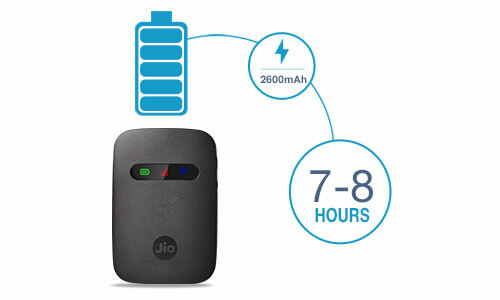 Best in class battery (2600mAh) supports 7-8 hours surf time. Enjoy the convenience of never having to search for an electrical outlet with a built-in rechargeable battery. 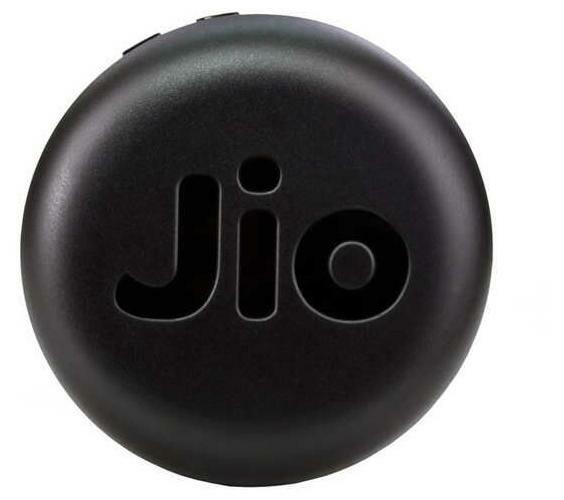 Now carry your sleek and stylish JioFi everywhere you go.